commented on "Straight and Narrow: A beautiful collection of versatile velvet stripes suitable for residential or commercial interiors. An extremely ..."
The very popular Straight & Narrow collection! 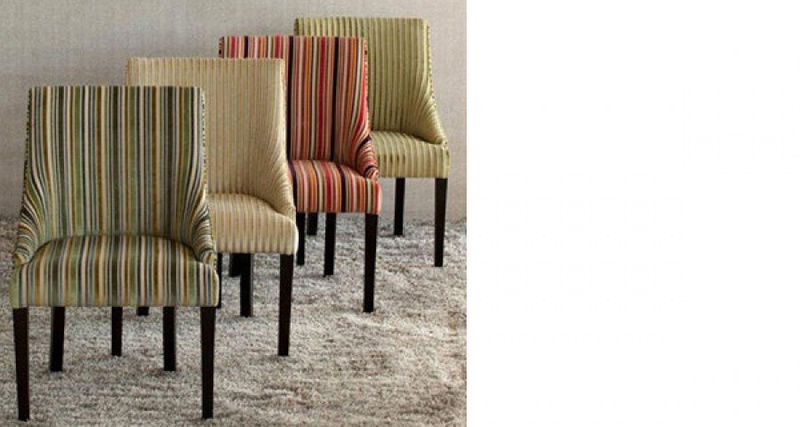 How stunning are these gorgeous chairs! Beautiful! Straight and Narrow: A beautiful collection of versatile velvet stripes suitable for residential or commercial interiors. An extremely hard wearing fabric collection with 50,000+ Martindale rubs, with no sacrifice on gorgeous fabric aesthetics. Colour ways range from subdued Beiges and Greys, to wild pops of Limes, Cerise and vibrant Reds, making this collection compatible with most colour schemes.